Downers Grove North High School, or DGN, and locally referred to as "Downers North" or "North", is a public four-year high school located near the corner of Main Street and Ogden Avenue in Downers Grove, Illinois, a western suburb of Chicago, in the United States. It is part of Community High School District 99, which also includes Downers Grove South High School. The North campus draws students from Downers Grove, and small sections of Woodridge, Oak Brook, and Westmont. The Douglas A-26 Invader is an American twin-engined light bomber and ground attack aircraft. Built by Douglas Aircraft Company during World War II, the Invader also saw service during several major Cold War conflicts. A limited number of highly modified United States Air Force aircraft served in Southeast Asia until 1969. It was a fast aircraft capable of carrying a large bomb load. A range of guns could be fitted to produce a formidable ground-attack aircraft. 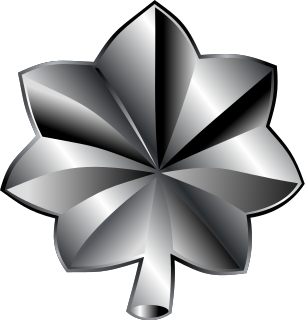 In the United States Army, United States Marine Corps, and United States Air Force, major general is a two-star general-officer rank, with the pay grade of O-8. Major general ranks above brigadier general and below lieutenant general. A major general typically commands division-sized units of 10,000 to 15,000 soldiers. Major general is equivalent to the two-star rank of rear admiral in the United States Navy and United States Coast Guard, and is the highest-permanent rank during peacetime in the uniformed-services. Higher ranks are technically-temporary ranks linked to specific positions, although virtually all officers promoted to those ranks are approved to retire at their highest earned rank. Public affairs generally refer to the building and development of relations between an organization and politicians, governments and other decision-makers. The Space Task Group was a working group of NASA engineers created in 1958, tasked with managing America's manned spaceflight programs. 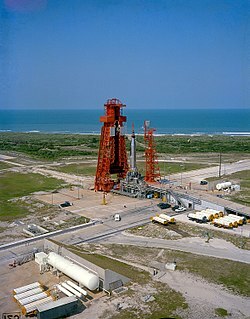 Headed by Robert Gilruth and based at the Langley Research Center in Hampton, Virginia, it managed Project Mercury and follow-on plans. After President John F. Kennedy set the goal in 1961 for the Apollo Program to land men on the Moon, NASA decided a much larger organization and a new facility was required to perform the Task Group's function, and it was transformed into the Manned Spacecraft Center, located in Houston, Texas. Thomas Keith Glennan was the first Administrator of the National Aeronautics and Space Administration, serving from August 19, 1958 to January 20, 1961. Rear Admiral Alan Bartlett Shepard Jr. was an American astronaut, naval aviator, test pilot, and businessman. In 1961 he became the first American to travel into space, and in 1971 he walked on the Moon. 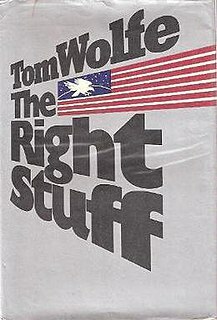 The Right Stuff is a 1979 book by Tom Wolfe about the pilots engaged in U.S. postwar research with experimental rocket-powered, high-speed aircraft as well as documenting the stories of the first Project Mercury astronauts selected for the NASA space program. The Right Stuff is based on extensive research by Wolfe, who interviewed test pilots, the astronauts and their wives, among others. The story contrasts the "Mercury Seven" and their families with test pilots such as Chuck Yeager, who was considered by many contemporaries as the best of them all, but who was never selected as an astronaut. Thomas Kennerly Wolfe Jr. was an American author and journalist widely known for his association with New Journalism, a style of news writing and journalism developed in the 1960s and 1970s that incorporated literary techniques. Manned Spacecraft Center Director Robert Gilruth announced Powers' reassignment on July 26, 1963, reportedly following a dispute with NASA Headquarters over handling publicity for the final Mercury flight. Powers objected to the HQ decision to release the mission's 22-orbit flight plan in advance. He was succeeded by Paul Haney on September 1, and Powers soon resigned. Powers retired from the Air Force in 1964 and opened a public relations firm in Houston. He became part owner of KMSC-FM in Clear Lake, Texas (the call letters standing for the Manned Spacecraft Center), where he anchored live coverage of Gemini and Apollo flights, distributed to radio stations across the country. He also served a spokesman for products including the 1965 Oldsmobile Delta 88 (touting its "Super Rocket V-8" engine), Carrier air conditioners, Triptone motion sickness pills, and Tareyton cigarettes (which claimed to use the same charcoal-activated filter used for the astronauts' oxygen supply). He lectured extensively about the space program, and served as emcee at the dedication of the Clear Lake Theatre Time Capsule on April 20, 1966. In 1967, he authored a newspaper column syndicated nationally by Field Enterprises called "Space Talk", answering readers' questions. He was the narrator for the 1966 Jerry Lewis space comedy, Way...Way Out . He is referenced in the 1988 cult film, Miracle Mile , by actor Kurt Fuller when, as Soviet warheads appear over Los Angeles, he states, "Talk me down, Shorty Powers". Walter Marty Schirra Jr. was an American naval aviator and NASA astronaut. In 1959, he became one of the original seven astronauts chosen for Project Mercury, which was the United States' first effort to put human beings into space. On October 3, 1962, he flew the six-orbit, nine-hour, Mercury-Atlas 8 mission, in a spacecraft he nicknamed Sigma 7. 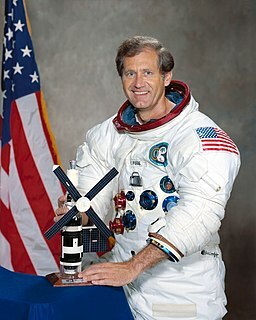 At the time of his mission in Sigma 7, Schirra became the fifth American and ninth human to travel into space. 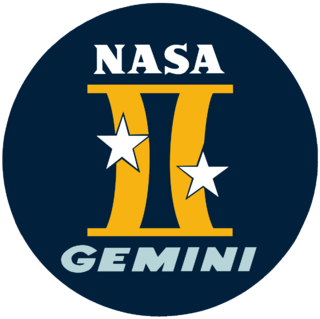 In the two-man Gemini program, he achieved the first space rendezvous, station-keeping his Gemini 6A spacecraft within 1 foot (30 cm) of the sister Gemini 7 spacecraft in December 1965. In October 1968, he commanded Apollo 7, an 11-day low Earth orbit shakedown test of the three-man Apollo Command/Service Module and the first manned launch for the Apollo program. William Reid Pogue, , was an American astronaut, U.S. Air Force fighter pilot, and test pilot who was also an accomplished teacher, public speaker and author. 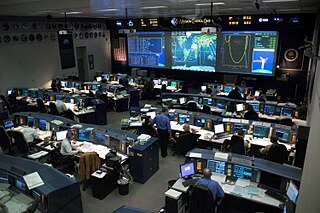 NASA's Christopher C. Kraft Jr. Mission Control Center, also known by its radio callsign, Houston, is the facility at the Lyndon B. Johnson Space Center in Houston, Texas that manages flight control for America's human space program, currently involving astronauts aboard the International Space Station (ISS). The center is in Building 30 at the Johnson Space Center which is named after Christopher C. Kraft Jr., a retired NASA engineer and manager who was instrumental in establishing the agency's Mission Control operation, and was the first Flight Director. Prime contractor for systems integration at Houston was Philco Corp., selected by NASA in January 1963. Samuel T. "Sam" Beddingfield was an American test pilot and a pioneering aerospace engineer and who had a long career with NASA during its early manned space programs. 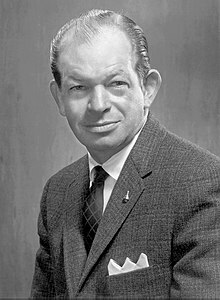 Tecwyn Roberts was a Welsh-born American spaceflight engineer who in the 1960s played important roles in designing the Mission Control Center at NASA's Johnson Space Center in Houston, Texas and creating NASA’s worldwide tracking and communications network. Walter C. Williams was an American engineer, leader of the National Advisory Committee for Aeronautics (NACA) group at Edwards Air Force Base in the 1940s and 1950s, and a NASA Deputy Associate Administrator during Project Mercury. The John J. Montgomery Award was created by the National Society of Aerospace Professionals (NSAP) and the San Diego Aerospace Museum in 1962 for aerospace achievement. It was awarded from 1962 to at least 1964. A-ok is a more intensive word form of the English term OK.
↑ "Shorty Powers Preaches Peace". The Toledo Blade. Vol. 135. May 12, 1970. p. 52. Retrieved June 28, 2015– via news.google.com. 1 2 3 "Calm Voice from Space". TIME . Time Inc. March 2, 1962. Retrieved June 28, 2015. (Subscription required (help)). ↑ Swenson, Loyd S. Jr.; Grimwood, James M.; Alexander, Charles C. (1989). "This New Ocean: A History of Project Mercury, Chap. 10: 'Ham Paves the Way'". Footnote 37. 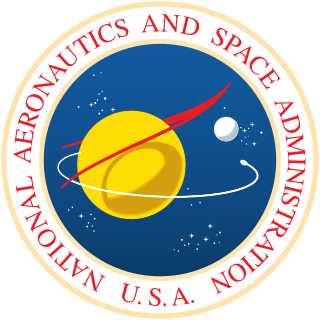 NASA (National Aeronautics and Space Administration). Retrieved June 22, 2015. In reporting the Freedom 7 flight, the press attributed the term to Astronaut Shepard, ... A replay of the flight voice communications tape disclosed that Shepard himself did not use the term. . It was Col. John A. "Shorty" Powers ... Tecwyn Roberts of STG and Capt. Henry E. Clements of the Air Force had used "A.OK" frequently in reports written more than four months before the Shepard flight. ... Be that as it may, Powers, "the voice of Mercury Control," by his public use of "A.OK," made those three letters a universal symbol meaning "in perfect working order." ↑ Wolfe, Tom (July 1, 1979). The Right Stuff. Farrar, Straus and Giroux. p. 215. ISBN 9780374250324 . Retrieved June 28, 2015– via Google Books. 1 2 Benedict, Howard (January 3, 1980). "Voice of the Astronauts' Shorty Powers Dead". Observer–Reporter (Vol. 172, No. 80002). The Associated Press. p. D-3. Retrieved June 28, 2015– via news.google.com. 1 2 "'Shorty' Powers, 'voice of the astronauts,' is found dead at 57". St. Petersburg Times (Vol. 198, No. 63). January 3, 1980. pp. 1 &16A. Retrieved June 28, 2015– via news.google.com. ↑ "Shorty Powers Losing Job". Daytona Beach Morning Journal . Vol. XXXVIII (No. 178). UP. July 27, 1963. p. 5. Retrieved June 28, 2015– via news.google.com. ↑ McGarry, Greg (October 8, 1970). "Powers Rejects Space Critics Opposed to Manned Flights". Schenectady Gazette . p. 49. Retrieved June 28, 2015– via news.google.com. ↑ ""Dennis and the Astronaut", January 13, 1963". Internet Movie Data Base . Retrieved February 9, 2013.